This project isn't mine to share, but I couldn't resist. 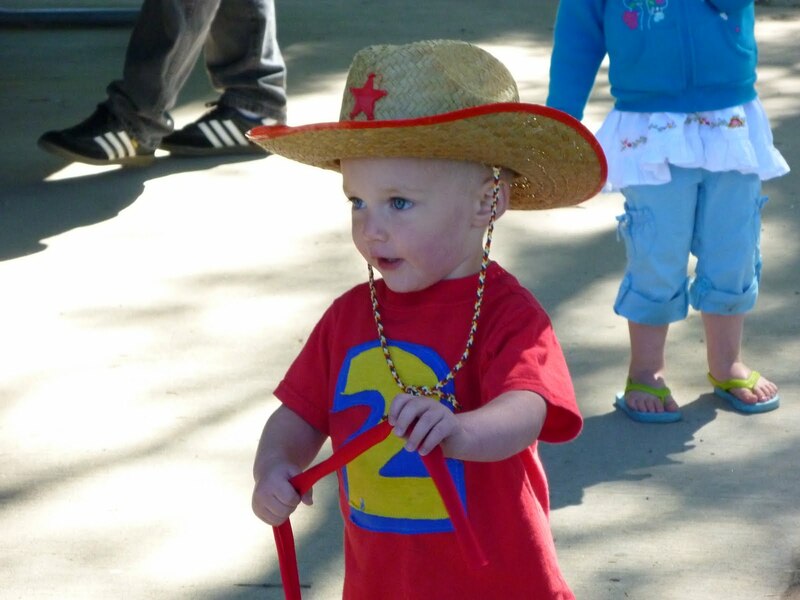 One of my very good friends threw an awesome Toy Story birthday party for her little 2 year old boy. I loved how much she was able to do on a very tiny budget! First she got the idea for this shirt here, but she wanted to make something for him to wear to his birthday party. It's so cute! She already had the red shirt so she just zipped over to the local thrift store and found yellow and blue t-shirts for $1 a piece. She did have to buy some matching thread so the whole project ended up costing her < $4. Not 2 bad, right? She also had another a great idea for an activity for the kiddos. 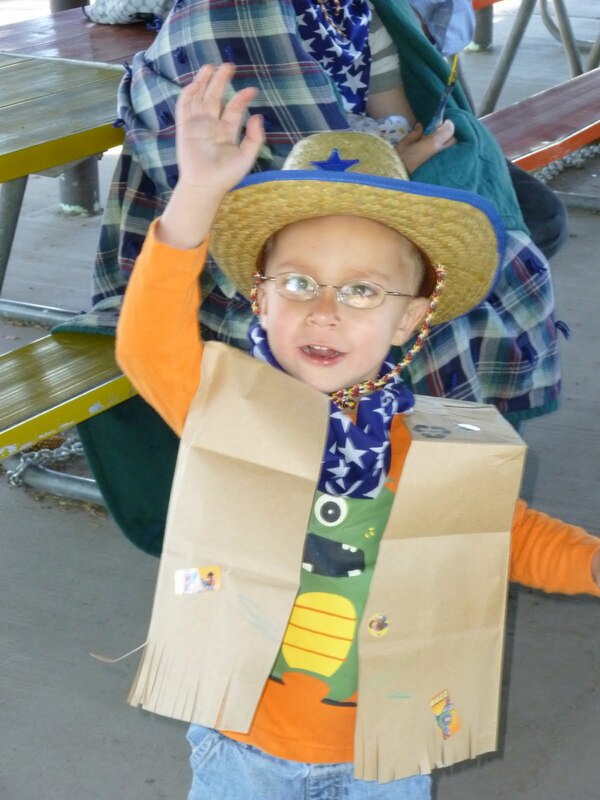 The kids decorated paper bag vests (so they could be cowboys and cowgirls like Woody and Jessy) This cost her $2! She had the paper bags and crayons, she just bought two sheets of stickers at the dollar store. AND the hats and scarves were loaned from a dance teacher (with lots of costumes and props). The kids had so much fun dressing up like cowboys and cowgirls! 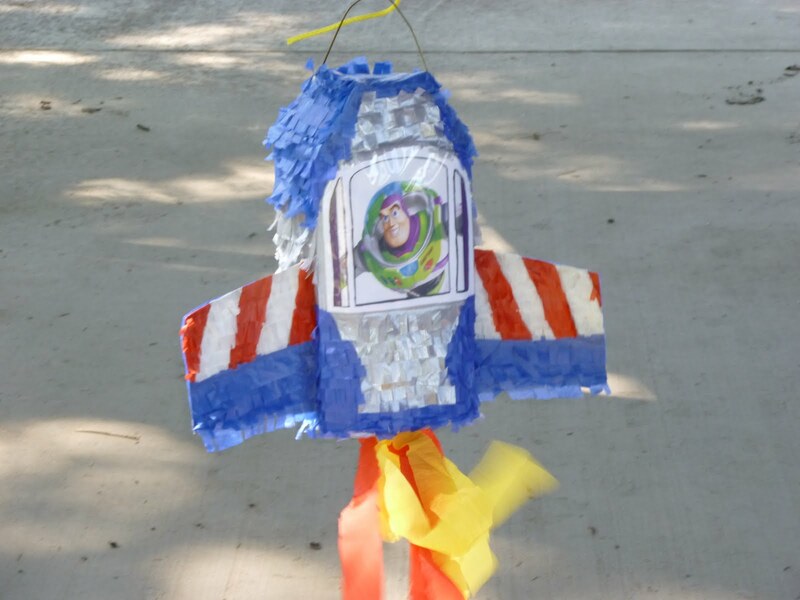 With the new Toy Story 3 movie out and VERY popular, just thought I'd share some ideas for any of you that might have some birthdays to plan for this summer! Hi, I found your blog on New Friend Friday. I love this birthday party idea! My sisters have boys, so I need to pass this on to her!